Sen Mike Lee: TSA Needs Reform. Here's What My Bill Would Change. Sen Mike Lee: TSA Needs Reform. Here’s What My Bill Would Change. In the 17 years since its inception, the Transportation Security Administration has managed to incorporate itself into the American way of life, both as a topic of news coverage and as a punch line for comedians. Now that an entire generation of Americans can’t remember the pre-TSA era, most people who fly can recall a personal experience with the agency. And these experiences are rarely stellar. After the Sept. 11 terror attacks, a push was made to federalize the previously privately-run screening process at airports. This resulted in the TSA being formed under the Department of Homeland Security. Wary of the cost to taxpayers and inefficiencies that come with complete government control, some members of Congress balked at the idea of the government completely federalizing the airport screening industry. To assuage these concerns, a provision was added to the legislation allowing airports to choose a private contractor if the TSA approved of the contractor. While studies have shown that the airports that choose to work with a private contractor reduce screening costs by up to 11 percent without compromising safety, only 22 airports across the country opted into this program. This isn’t due to security concerns, but rather to the bureaucratic red tape that comes with the TSA being judge, jury, and executioner in all aspects of contractor selection. Just last month, Orlando International Airport threatened to move to a private contractor after having communication and accountability issues with the TSA. It only moved back to the TSA after Democrat Sen. Bill Nelson stepped in to mediate between the parties. That is why I plan to introduce the Screening Partnership Reform Act this week, to try and unleash the potential cost-saving benefits of these private screening contractors, while also simplifying the application process and improving the efficiency of our screenings. 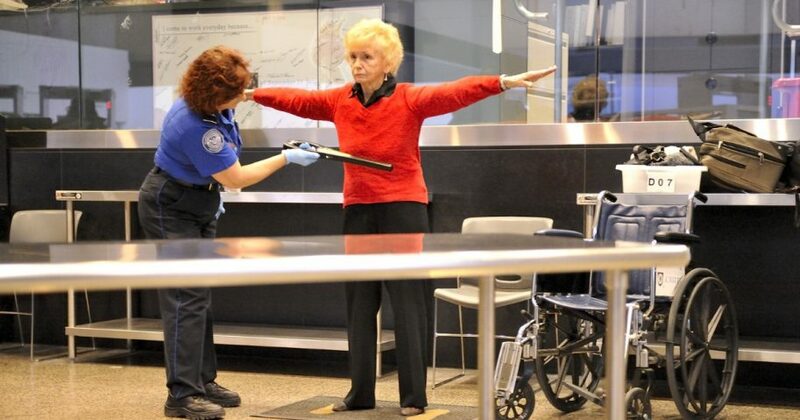 Do you think the TSA needs reform? The TSA currently evaluates these prospective contractors like many agencies do — taking cost into account. However, as it stands, the TSA does not currently include the cost of benefits guaranteed to federal employees, which could account for as much as 10 percent of the total amount the TSA pays its employees for these services. This bill would change that. Additionally, after 17 years’ experience with the TSA, we’ve come to see many of its inefficiencies. While there is reason to believe the TSA has improved on its abysmal 5 percent success rate at detecting a credible threat, there is obviously room for growth. This bill would help address this deficiency by allowing each private screening company contracted through the TSA to submit recommendations on new approaches that could improve the TSA’s efficiency and success rates. Americans are willing to put up with quite a bit to travel. But we can do better than the TSA in its current form. My bill would allow the government to save taxpayer money, and do a better job keeping us safe.